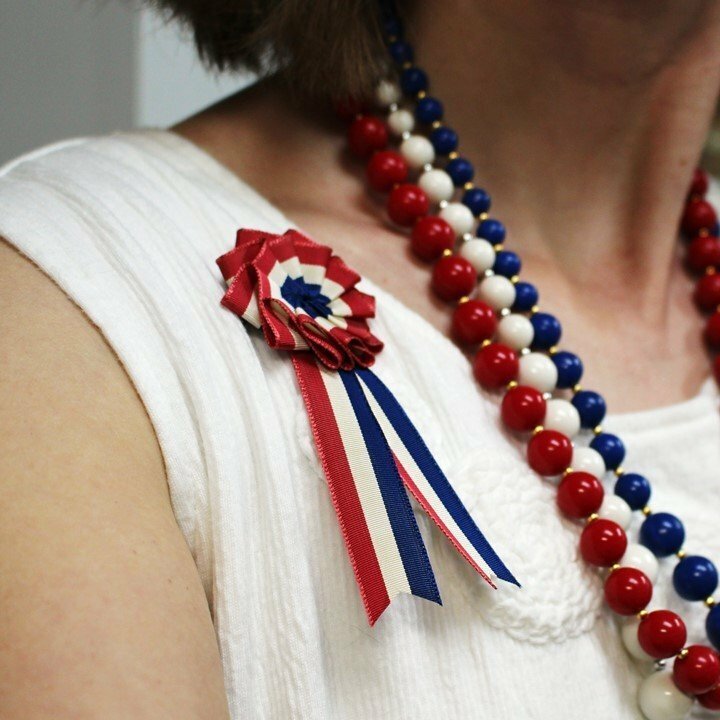 France, Great Britain and the United States proudly wore their red, white and blue colors in the 20th century - in the shape of cockades! This beautiful little emblem is made from vintage tricolor ribbon. A silver-plated pin back makes attaching it easy. The cockade is about 1.5" (4 cm) across the rosette. It is 4" (10 cm) long. Perfect for Independence Day, Memorial Day, Veterans Day, and any patriotic celebration of American history!